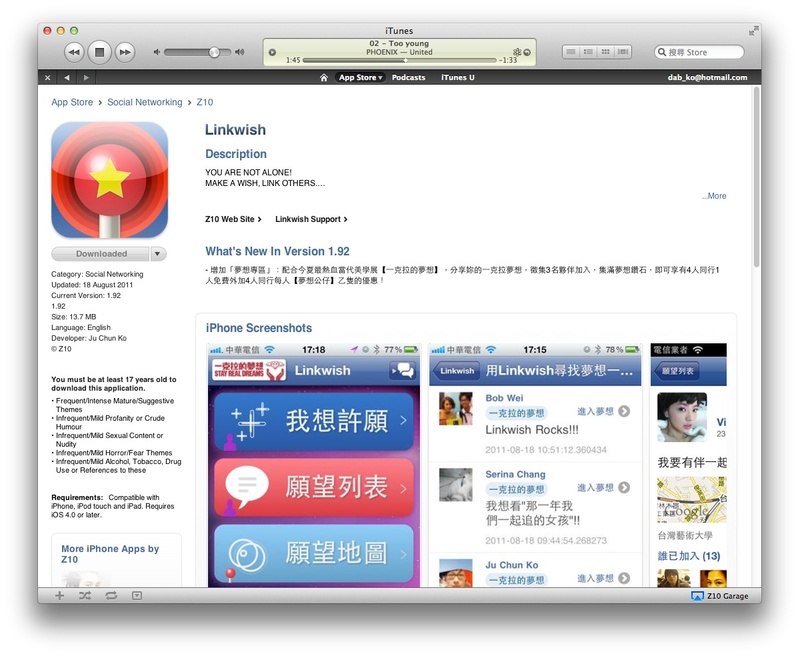 Linkwish, was one of the first LBS App shipping in Taiwan, Ranked Social Top#7 on iTunes. People sharing their wishes on Linkwish, and link to others who have the same wishes. Linkwish, was one of the first LBS App shipping in Taiwan, aiming real-life social activity making. People sharing their wishes and meet others who have wishes in common. 25,000 Download/ Updates, 10,000 Linkwish member registered. My Role in this project- Teamleader, PM, Concept & Design. Founder and CEO of Linkwish, Inc (2010~2012). Keynote Presentation of Linkwish App concept & design. 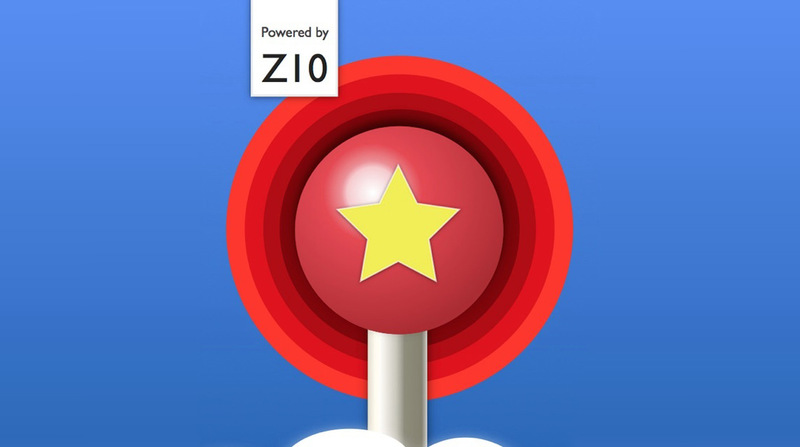 In 2011 Nov. 14, we released the Linkwish app on iPhone App Store, served as the first few SoLoMo apps in Taiwan/ Chinese market. We allow users to “Make wishes” in a wish map, and link others (who has the similar wishes) together. It is a so called nearby-strangers app which came to the market way before Zaarly and Gigwalk, apps with similar ideas from the Valley. with BIG company such like Facebook, MSN, QQ etc. 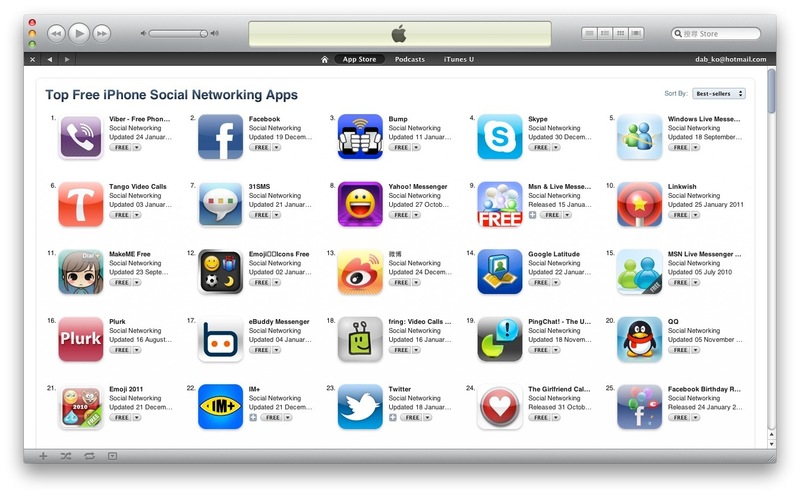 Linkwish, listed in the Top Free Social Apps, with a lot of giant company, on iPhone App Store. Keynote Presentation in appWorks Startup Incubator.